We collected crustal thickness and/or Moho depth data from previous seismic studies (not including surface wave studies), and made a compilation of ANtarctic Moho positions (AN-Moho), under the evaluation of the quality of Moho depths. Considering that the crustal thickness or Moho depth given in previous studies may be variably defined, we corrected all thickness data to the same crustal thickness definition. Therefore, slight differences are evident between the data of our AN-Moho as compared with previous compilations and also data presented in previous studies because of different definitions. 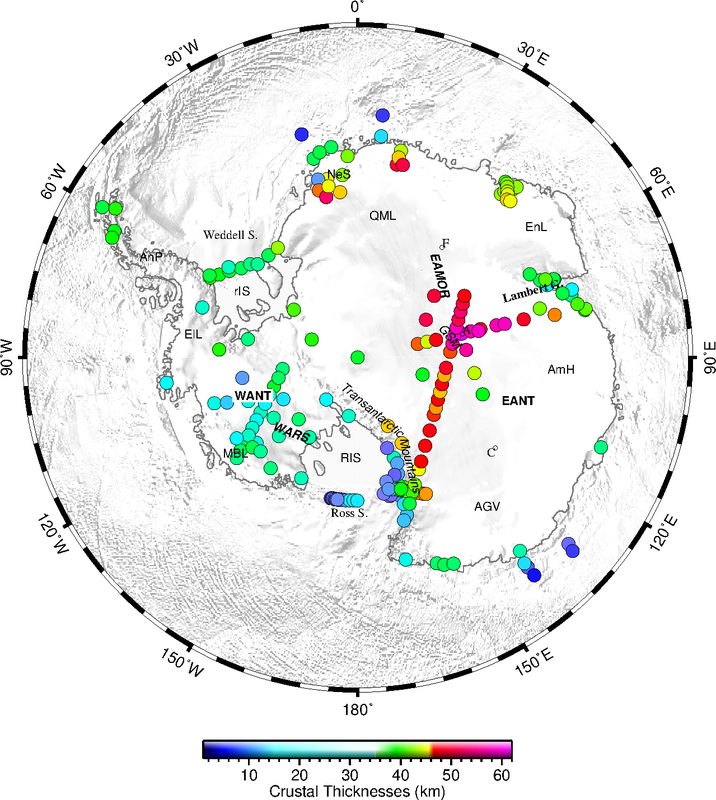 An Meijian, Douglas Wiens, Zhao Yue, Feng Mei, Andrew A. Nyblade, Masaki Kanao, Li Yuansheng, Alessia Maggi, Jean-Jacques Lévêque, 2015a, S-velocity Model and Inferred Moho Topography beneath the Antarctic Plate from Rayleigh Waves. J. Geophys. Res., 120(1),359–383, doi:10.1002/2014JB011332.